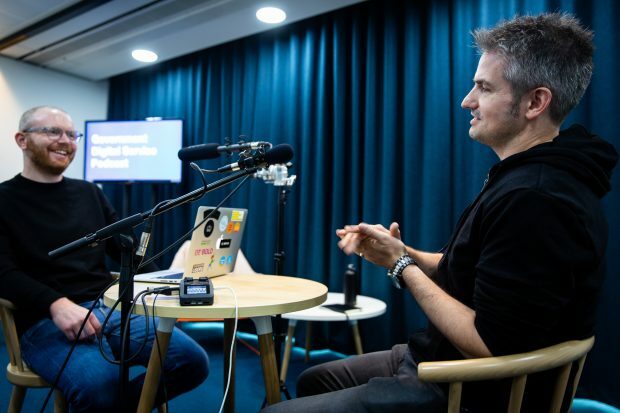 In the first episode of a new series of GDS podcasts, senior writer Angus Montgomery talks with the outgoing head of GOV.UK, Neil Williams, about his time here. They discuss successes and challenges, the realities of working in an agile way and what the future holds for the nation’s website. Neil has been a part of the Government Digital Service (GDS) since the very beginning. He was involved in the initial discussions that led to GDS being set up in 2011. After 7 years, Neil is leaving GDS this week to join Croydon Council as its Chief Digital Officer. Jen Allum, formerly lead product manager on GOV.UK, will become the interim head of GOV.UK. In future episodes of the GDS podcast we’ll be talking to people both inside and outside GDS and discussing digital transformation, innovation and cross-government collaboration. You can read a transcript and subscribe to future GDS podcasts on Podbean. I agree with, Ben. Amazing to see Government using latest technologies. Great to see GDS podcasting.